Emily Gale’s new YA novel features the dreaded ’D-word'… Here she reflects on death in children’s and young adult books – on why it gives some parents nightmares, and on why it needs to be there anyway. You idiot, I thought. Hadn’t you thought this through? But I had, of course. I’d thought for years about whether this story was told in the right way for young readers. I’d thought of little else but a girl called Summer and her challenging journey. And I remembered that for every adult who’d shield a child from an emotionally-charged book, there are ten more who know that stories with sad beginnings usually have uplifting endings. It makes me laugh (or, more accurately, scream into pillows) when people ask authors of children’s and young adult books when they’re going to write a proper book. If you think lots of decisions go into writing a novel for adults – those big, tough, hairy, creatures with masses of life experience – imagine how many more go into writing for the smaller, nicer, cuter humans: teenagers. We all have to write to please ourselves but the sense of responsibility we (and our editors) feel for our readers is huge. In my experience, modern children’s and YA authors, despite articles you may read here and there, are not out to be grim for kicks, or to up the ante, and neither are they trying to teach young readers a harsh life lesson. Rather, they’re intending to provide light where they see darkness. But to do that, we have to admit that there is some darkness in the first place. A few years ago, JK Rowling began a tradition of annually apologising for the shocking deaths of some of her much-loved characters. When I read her most recent apology, and for a death that’s in my top three ‘Oh-no-you-didn’t’ of all Hogwarts deaths, my knee-jerk reaction was a kind of gratification. But gradually that feeling started to stink. I was being a giant hypocrite. After all, the death at the beginning of my new book is violent – worse still, it’s of a teenager. But I will not apologise. That’s hard for me to say – I’m British, I’d say sorry to you if you stood on my toes – but it’s important. E.B. White taught me that in Charlotte’s Web when I was eight. Do young people need these kinds of stories? Can’t books just be their happy places in a bleak world? I believe these are not mutually exclusive in the books we write for them. Young people are already thinking about a life that involves death. We can’t stop that, but we can take them on reading journeys that acknowledge the more challenging thoughts that creep into their minds while they’re growing up. The death in my book is at the beginning for good reason. Although it has already happened by the time my narrator, Summer, introduces herself, it’s new enough to be churning through her mind. The person she’s lost is her beloved big brother, and since she can’t share the continuing sense of loss with her family, she shares it with the reader. In return, the reader has a chance to get to know this wonderful boy, Floyd, who loved his guitar, his friends, his family, his life. The rest of Summer’s story is not about dying, but living, carrying on, experiencing magic in unexpected places (like Roald Dahl said we would, if we were open to it) and accepting things back into our lives when they come along again. Like love, and friendship, and faith in the world. Sometimes the harder aspects of a story are buried in the middle so that you can’t see them from the blurb. Sometimes they come at the very end, when you’ve spent hundreds of pages investing your heart in that character. Which brings me back to Charlotte’s Web. When asked about the way death hangs over Wilbur for the whole book, White explained that it bothered him, living on a farm, that a man could grow fond of a pig and vice versa, and that the pig was in total ignorance of the inevitable death that awaited them. White wanted to save a pig, perhaps to soothe his conscience. He also wanted his young readers to notice the beauty and value of a spider, but he knew that in order not to fool them a huge sacrifice would have to be made. That book broke my heart and I’m glad it did. Because afterwards I thought I would never read a book again, and I was wrong. I thought my eight-year-old heart wouldn’t stop hurting, and I was wrong about that, too. Rowling also knows about sacrifice. I don’t believe she’s sorry at all; she simply understands how much we all invested in her characters, and she feels responsible for that. 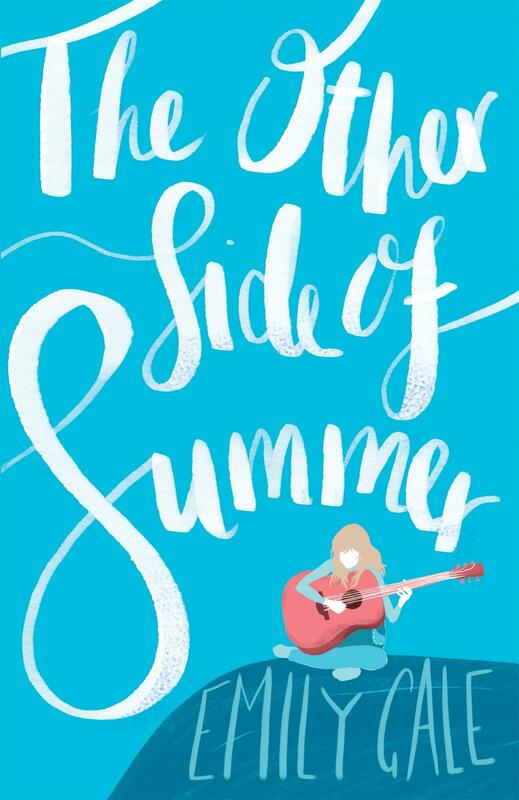 When I recently received some good news about The Other Side of Summer, the emotion that surprised me was a sense of pure happiness for my 13-year-old character. That sounds as if I have a loose grasp of reality, but it’s about what I’ve invested in her, and the care I took mapping her journey. Although there are moments in the story when Summer feels that she is alone in the world, I never let her – or my readers – out of my sight. During a scene in which Summer despairs that her life is becoming untenable, her best friend Mal sends a text message. It says: Spoiler: everything will turn out okay. If there’s one spoiler I’m prepared to give you about this book, it is that. Emily Gale has worked in children’s book publishing in a number of roles: editor, reader for a literary agent, and book buyer. In 2014 she was the prize manager for the inaugural Readings Children’s Book Prize. Her writing includes books for pre-schoolers, the junior series Eliza Boom’s Diary, and two young adult novels. Her new book, The Other Side of Summer, is being launched a Readings Hawthorn next week. Find out more here. This sweet and spellbinding story about family, friends and believing in yourself will warm your heart.